LAP65-10-30 30mm Wide Hand Held Label Applicator. Great for Bag or Box labeling. By START International. 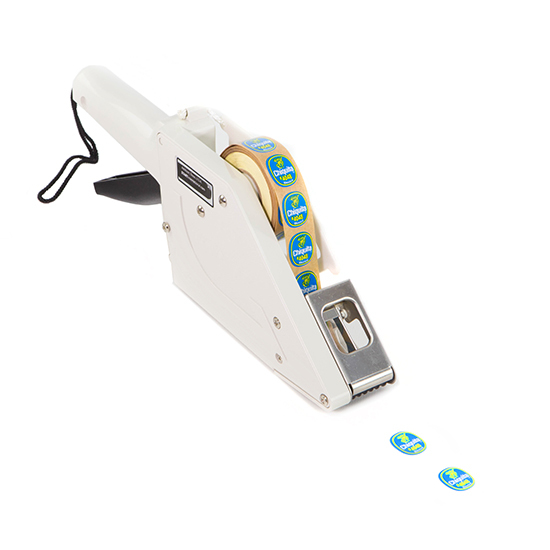 The START International LAP65-10-30 manual hand-held label applicator dispenses narrow die-cut labels for labeling boxes, bags, and packaging. No custom-tooled slots are needed to feed labels. The required gap between labels is 1/8" (3 mm). A specialized sensor automatically adjusts the label stroke. The dispenser housing is made from anodized aluminum for durability. This label applicator is suitable for industrial uses such as assembly and packaging.